Lovely map of North America. 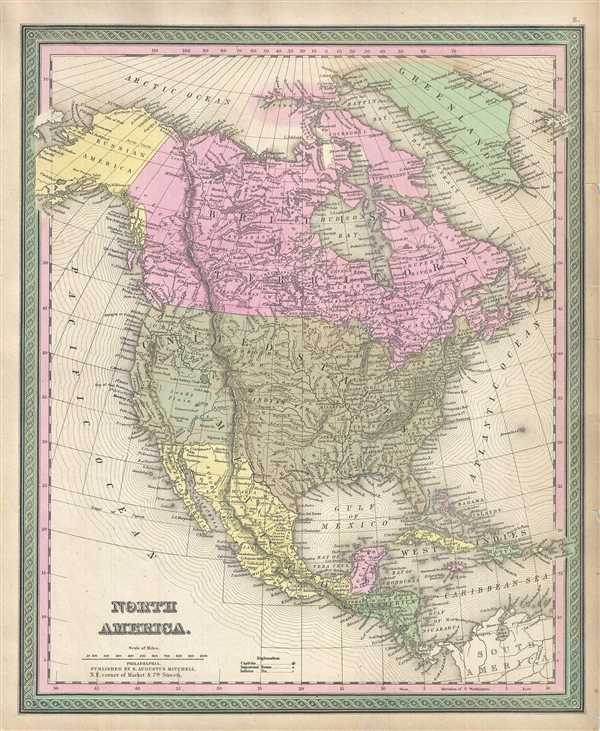 This attractive 1849 map by Samuel Augustus Mitchell depicts North America. Shows the entire continent along with Greenland, Central America, United States, Canada, and the West Indies. Various important cities, rivers, islands, mountain ranges, and several other topographical details are noted. One of the most attractive atlas maps of this region to appear in the mid 19th century.